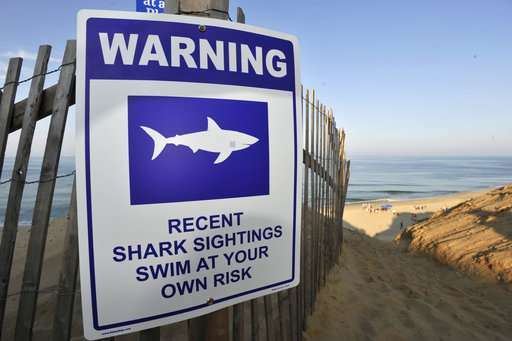 On a windswept dune overlooking the Atlantic Ocean, hastily erected signs warned Cape Cod beachgoers to stay out of the water on Thursday, a day after a New York man became the first person to be attacked by a shark off the coast of Massachusetts since 2012. In a scene reminiscent of the movie "Jaws," Massachusetts' foremost shark expert, Greg Skomal, planned to speak with Lytton and examine his wounds to see if he was bitten by a great white shark. Numerous great white sightings have been reported in the area, which is frequented by seals, and witnesses reported seeing seals in the water just before the attack. "They're there, just as much as the sunrise and sunset. We're just guests," vacationer Steven McFadden, of Plattsburgh, New York, said as he watched waves break on the deserted beach at dawn. "I'll cool my feet off sometimes, but I'm not going to swim. I don't want to be that guy." 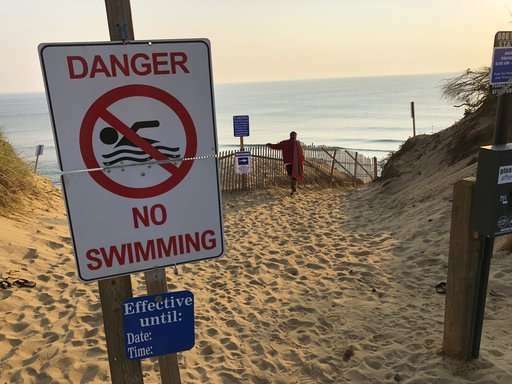 Town officials said the beach would be closed to swimming at least through Friday, and they put up signs that read, "Danger, No Swimming." A few of the nearly 40 miles (65 kilometers) of coast that comprise the Cape Cod National Shoreline will be off limits. 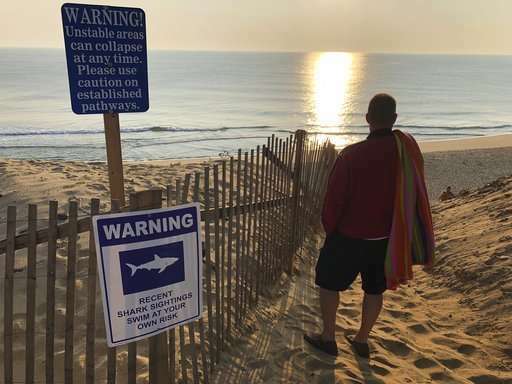 "We hope people understand sharks are part of the ecosystem on Cape Cod," said Brian Carlstrom, superintendent of the Cape Cod National Seashore. An organization that studies sharks, the Atlantic White Shark Conservancy, said shark encounters in which people are injured are as "terrifying as they are rare." "While we still don't know all of the details of this particular bite, sharks are not known to target people specifically and when they do bite people it's usually a case of mistaken identity," the group said in a statement. "Sharks 'test the waters' with their teeth, much like we use our hands. 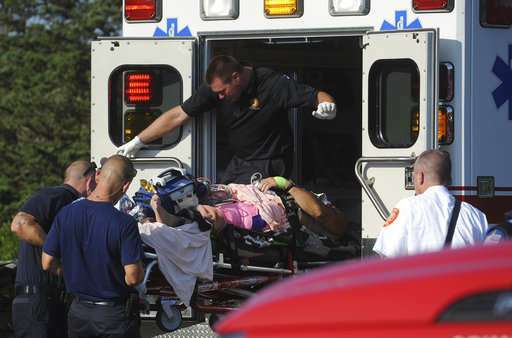 It's how they determine if what they encounter is prey or something to avoid." They said they were swimming about 20 yards (18 meters) offshore just a few hours before the attack and later were chilled to realize they'd shared the waters with a shark. 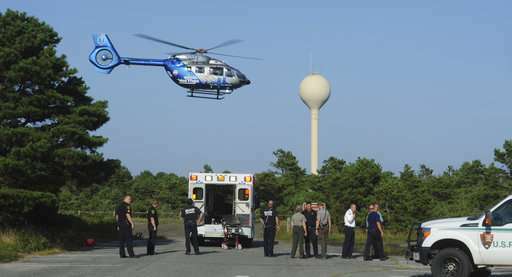 "We saw the seals and came in," Worthington said. "It's never a good time to be in the water."